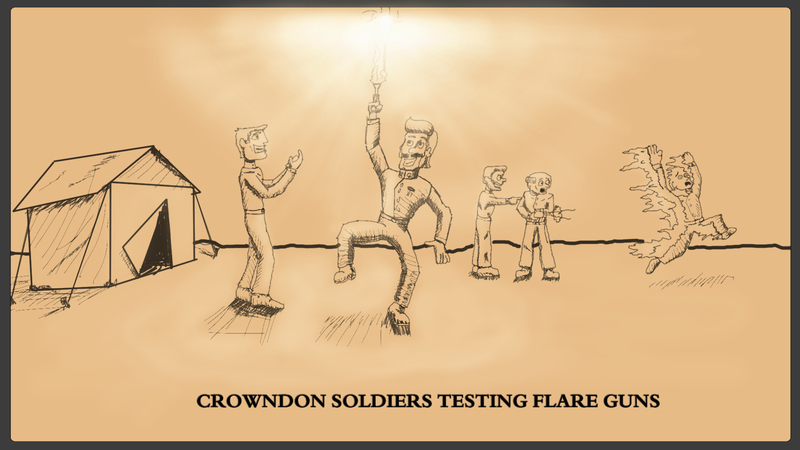 22/5-It seems as though the flare gun tech that allegedly caused out of control fires during performances of Delando’s fantasy epic ‘Fires of D’Kalm D’Korr’ has attracted the attention of the Crowndon military. Another officer at the conference suggested they could be used as signaling devices for soldiers stranded behind enemy lines, something the General quickly disregarded. Nor Eastern industrialist and philanthropist Sir Rigel Rinkenbach seemed exasperated by the general’s comments when asked for comment.